some of the worst music ever? That should be worth a few giggles. At least Michael Jackson can’t be blamed for “Wonderful Christmastime”. 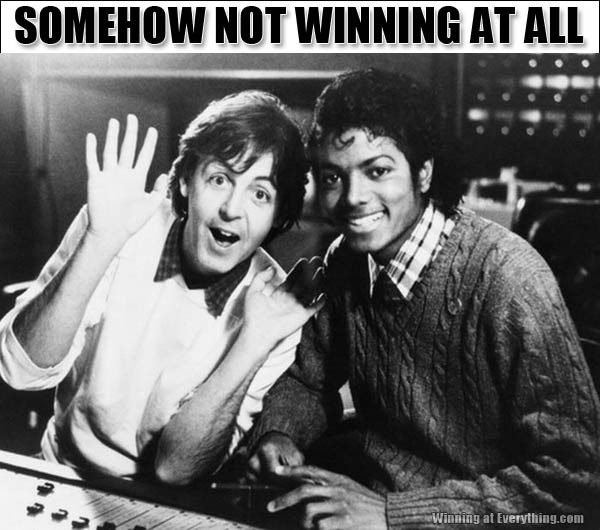 Say say say now! At least Paul McCarthy can’t be blamed for Whatsupwitu. And Jesus Juice. Losing at Ebony and Ivory? Mark Chapman, why John? WHY?